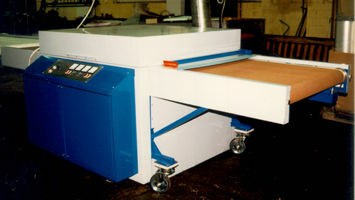 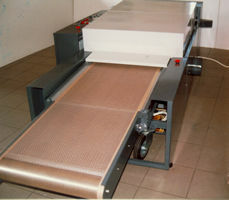 The UV dryer is suitable to dry UV curable inks and lacques. 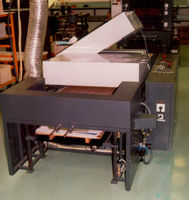 The curing of UV inks - a photo polimerization - takes place whitin a millisecond of exposure. 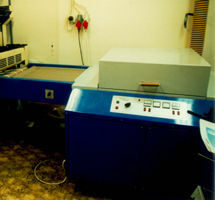 The facet reflectors in conjunction with the medium pressure lamps spread the UV radiation uniformly over the entire surface providing perfect curing results even at high production speeds. 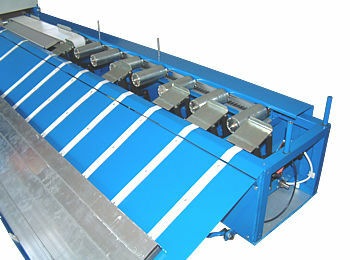 The conveyor belt is made of mesh teflon impregnated fiber glass. 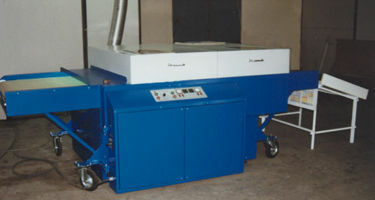 In the dryer are installed 2 UV lamps, which can work in high power or in low (stand-by) power. 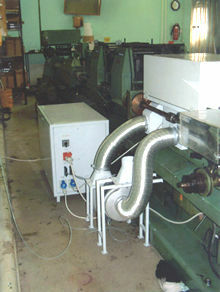 The UV dryer has a built-in exhaust fan that ensures a perfect exhaust of ozon or other vapours from the UV ink outside of dryer. 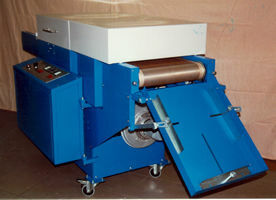 Under the conveyor belt a vacuum garantees a safe material transport from the inlet all trough the dryer until leaving the conveyor belt. 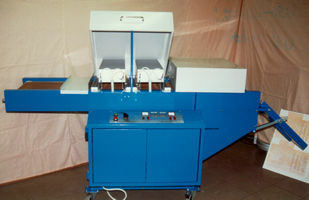 UV dryer with other lamp power and curing width is available upon request. 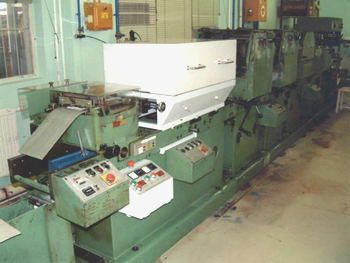 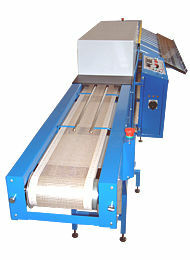 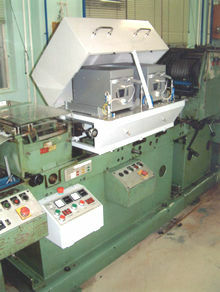 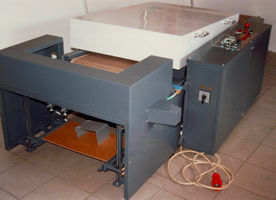 UV dryer for printed bubble levels with automatical unloading unit.